Aston Villa midfielder Ashley Westwood is close to joining Burnley. 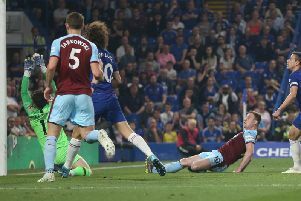 News broke last night that the 26-year-old Nantwich-born former Crewe man had re-emerged as a target for the Clarets, with Dean Marney out for the rest of the season at least, and Joey Barton having until today to respond to an FA misconduct charge in relation to alleged betting offences. Westwood didn't travel to Brentford with his Villa teammates for tonight's game, and is believed to have completed a medical, before completing a move, although we await confirmation whether it is an initial loan, or a £5m switch as has been mooted.